Guide guests to the correct table while enhancing the tablescape. Personalize with your favorite quote, address, hashtags, or fun facts. Add a few final touches to your day with Favor Boxes, Gift Tags, and more. 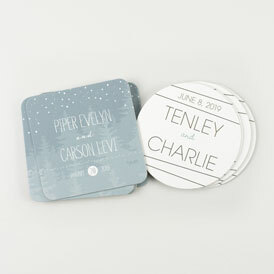 Get creative with custom square or circle coasters that add a fun touch to your tabletop décor! Custom printed napkins that add a pop of unexpected fun under your guests' drinks. 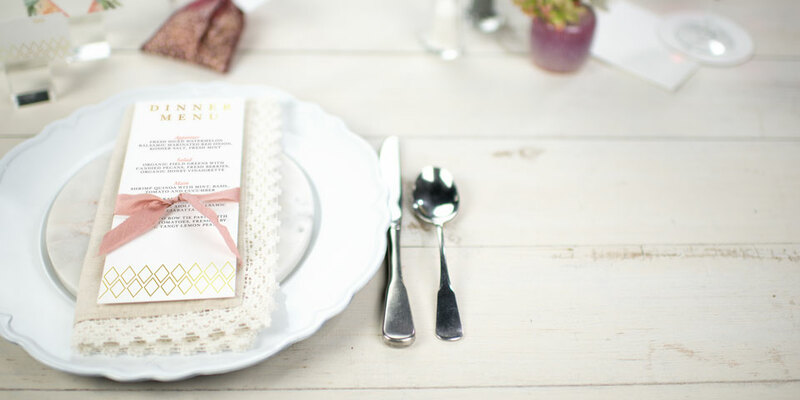 Add a unique finished touch to your reception with printed napkins that showcase your style. These tags were perfect for our wine glass wedding favors. I first used magnet street for my save the date magnets. I then returned to get my invitations and menu cards! Each item arrived quickly. The online staff is very helpful in answering questions. Each item came quickly in great packaging. I will be returning to magnet street for my thank you cards! 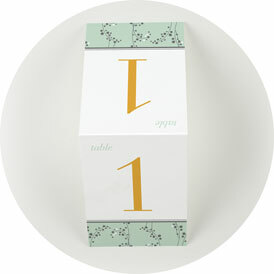 Our table numbers are perfect! I asked to change the colors, fonts and wording on the table number cards, each request was answered promptly and were done without problem. The person reviewing my requests paid much attention to detail- ensuring I knew of differences in color, font, spelling before placing my final order- I was very impressed! The place cards came in very well packaged and on time. i love how true to the color online they are in person . Fun, free printables for you to make into your own photo booth props! From treats to keepsakes, find fun favors that match your wedding theme. From picturesque backdrops to rustic elegance, parks are the perfect venue. You don't have to venture far to find your perfect wedding venue! There's no better place to hold your own historic event than a history or art museum! Share the celebration with family, friends … and animal friends! Get ready to start a new chapter of your life with this lovely inspiration. Tee off your new life together with these golf course wedding ideas. A few of our favorites for your first dance as a married couple. We've got you covered with this list of the most beloved father daughter songs. 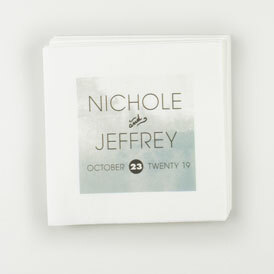 Add a chic touch to your reception with fun, exciting, and unexpected details like personalized napkins and coasters! Functionally stylish, personalized Wedding Coasters and Wedding Napkins also add a beautiful look to your reception tablescape. 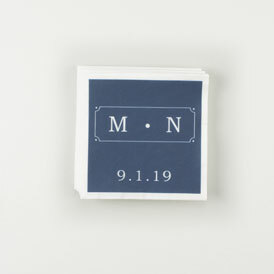 Our wonderful selection of paper napkins and paper coasters can be personalized with your special details, including your monogram, wedding date, fun quotes, and more. Choose from two napkin sizes and two coaster shapes across a variety of fun and classic designs. You’ll enjoy personalizing them to fit your fabulous wedding style. 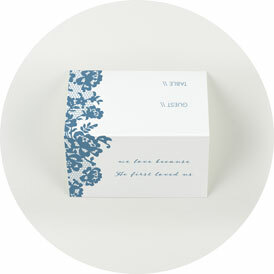 Plus, Wedding Coasters are a great and useful souvenir for guests to take home! Carry your personalized stationery design all the way to the reception! From Menu Cards to Wedding Favors to Place Cards and Table Numbers, each Reception Item design comes in coordinating Save the Dates, Invitations, and other Wedding Stationery—​making it easy	to tie together your look. And by personalizing the colors, fonts, and wording, you can turn these reception products into beautiful décor that complements your theme. 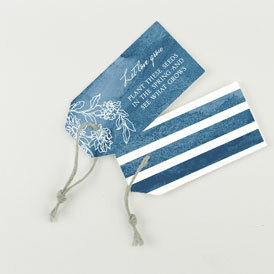 Each Reception Item design comes in coordinating Wedding Invites and other Wedding Stationery. Using matching designs is a great way to strengthen your wedding theme! Vintage, destination, damask, modern—​find a diverse selection of Reception Item designs to match your wedding theme or personal style.